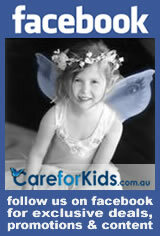 Over the next few months we will be profiling some of the key organisations in Australian child care. This month we feature a Q and A with Chief Executive Officer (CEO) of KU Children's Services Christine Legg. 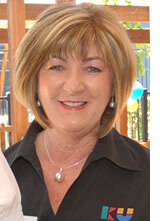 Christine was appointed as the CEO of KU in April 2011 and is responsible for the operations of the whole organisation. She works closely with and reports to a voluntary Board of Directors. Christine has a background in early childhood education and undertook her first early childhood teaching qualification in South Australia. She has worked as a teacher and director in long day care and preschool, as an educational consultant, a professional development trainer and in various early childhood education managerial roles within KU over the last 30 years. Christine is currently a member of the National Board of Early Childhood Australia (ECA) and is a member of the Executive Committee for ECA NSW Branch. Please tell our readers a little about KU's background and history. 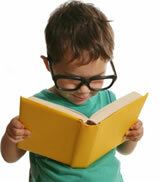 KU is Australia's leading provider of not for profit, community based early childhood education. Established in 1895, KU is Australia's oldest early childhood education provider and has always been at the forefront of the early childhood education reform and practice. What is a Nominated Supervisor? Under the National Quality Framework (NQF) approved child care providers, including long day cares, family day cares and outside of school hours providers, must have a responsible person present at all times a service is educating and caring for kids. 3. A certified supervisor who has been placed in day-to-day charge of the service in the absence of the nominated supervisor. This article looks in detail at the role of the nominated supervisor. The requirement to have a nominated supervisor on site at all times children are being educated and cared for applies to both new and existing child care providers. For new services this means that from the outset services must have a nominated supervisor in charge of the day-to-day operation of the service. This month we are proud to introduce you to Lee Sadler, Lead Educator & Assistant Director Star of the Sea Catholic Child Care Centre. We receive a number of requests from child care services interested in learning how to build and maintain successful lines of communication with parents. 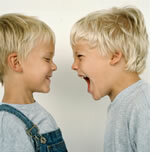 This article from Australia's Raising Children Network offers some great tips. Effective partnerships with parents are crucial in early childhood settings. Close working relationships between parents and carers has benefits for early childhood programs and crucially, can provide important sources of support to parents in the task of parenting. Fundamental to partnership is the nature and style of communication. Yet limited time and the stress of running a busy early childhood service can get in the way of clear and supportive communication. Time to Upgrade your Skills? From 2014 most long day care and kindergarten services will be required to employ an early childhood teacher. This change to the National Quality Framework may create thousands of jobs nationally, so it's a great time to upgrade your skills with a professional qualification. If you already hold a Certificate III, Diploma or Advanced Diploma in Children's Services, you may be eligible for up to 24 credit points towards your Bachelor of Education (Early Childhood) with James Cook University (JCU). At JCU you can study a Bachelor of Education (Early Childhood) online from anywhere in Australia. In your final year, students are required to attend a 5-day intensive professional orientation program at either the Townsville or Cairns campus. The JCU Bachelor of Education (Early Childhood) will qualify you as a teacher of children from birth to eight years of age in childcare centres, kindergartens, preschools and schools. During the degree you'll study across a range of disciplines including child development and psychology, theories of learning, curriculum and assessment and understanding the diversity of learning needs within the early years. JCU students enjoy professional experience in schools from the first year of study. This practical, hands-on approach builds confidence and understanding ensuring you're work ready upon graduation. To celebrate the 30th anniversary of the creation of Roald Dahl's timeless children's character The B.F.G., the full-length, fully animated feature film version of The B.F.G. is being brought to DVD. The B.F.G. is a tale for all ages about a little girl called Sophie (based on Dahl's now famous granddaughter, Sophie Dahl) and a Big Friendly Giant who set out to rid the world of the gruesome 'bone crunching' giants that eat little children for breakfast. This classic children's tale is available on DVD June 7th and features the voice of David Jason who provided voice work for Danger Mouse and Count Duckula for over ten years and who also previously starred in A Touch of Frost as Detective Inspector Jack Frost. With winter looming we thought it might be nice to put together a list of crafts which celebrate all the good things about the coldest time of the year. We hope they provide you some sources of inspiration as you head in to the 'indoor months'. Paper plate snowman Although there aren't many places in Australia which have a white winter, snowmen are a popular symbol of winter! 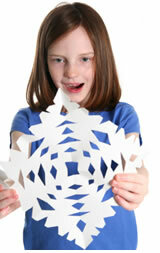 Cotton bud snowflakes Kids three and older will love making these pretty little snowflakes. Pasta snowflakes Use wagon wheel pasta shapes and glue to make these crunchy collages. Footprint penguins Who doesn't love this most wintery of critters? This easy project is suitable for kids two and older. Snowman stamps This project uses toilet rolls as the template for a whole family of unique snow people. Mitten lacing a simple activity which promotes the development of fine motor skills. Circle polar bear Let kids have a go at cutting out the circles which form the basis for this friendly polar bear. Fingerprint penguins Create a flock of penguins with this easy activity. These craft ideas were originally sourced on www.busybeekidscrafts.com and www.dltk-kids.com. Recipients of the 2012 Australian Family Early Education and Care Awards have just been announced. 2012 Early Childhood Educator of the Year, Kerry Hennessy from Gosford Family Day Care, Gosford, NSW. 2012 Early Childhood Service of the Year, Bulimba Child Care Centre, Bulimba, QLD. 2012 Early Childhood Director of the Year, Narrelle Cahill from Phoenix St Children's Centre, Sunshine North, VIC. 2012 Rising Star, Jessica Whipps from Norwest Child Care Centre ,Baulkham Hills, NSW. The Australian Family Early Education and Care Awards celebrate excellence in child care and encourage Australians working in all sectors of early childhood education and care to aspire to excellence. The awards offer the child care sector an opportunity to publicly celebrate child care professionals making an outstanding contribution to children, their families and the community more widely. They also provide a great way for families to say "thanks" to the educators and carers in their life. The Managing Director of Australian Family, Mr Paul Clancy, offered his congratulations to all this year's winners: "Australian Family hopes that the acknowledgement they receive during these Awards will act as a motivation to not only continue the outstanding work they are already doing but perhaps become lighthouses of the sector, that guide and light the way for the children and those in their immediate community to achieve great things," he said. 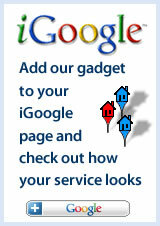 For a list of state winners click here. 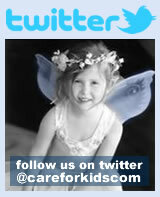 Hello and welcome to the June edition of Child Care News. We continue our series of CEO profiles this month with an interview with Christine Legg the head of KU Children's Services. Christine's years of experience and her views on the current transformation going on in the child care sector make for fascinating reading. There has been a lot of confusion surrounding the role of nominated supervisors, so this month we have covered this off in detail. You'll find some winter craft suggestions along with an article on how to effectively communicate with parents. Also I am delighted to introduce you to Lee Sadler, this month's child care person in the spotlight. 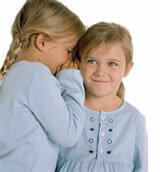 Remember to drop me a line if you know someone doing an amazing job in the child care community. 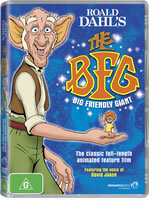 To celebrate the 30th anniversary of the creation of Roald Dahl's timeless children's character The B.F.G., the full-length, fully animated feature film version of The B.F.G. is being brought to DVD and we have a copy for 10 lucky CareforKids.com.au readers courtesy of Roadshow Entertainment.